Last week I joined the anti-Brexit demonstration in central London, eventually tracking down the almost mythical mobile sound system, DJs For A People's Vote. A huge line-up of international DJs — including some of my personal favourites — joined forces to galvanise the people of London against Brexit and call for another vote. It was a truly special experience. I met old friends, and made new ones; I danced, we all did. Everyone I spoke to agreed the sense of togetherness that afternoon was truly spectacular. 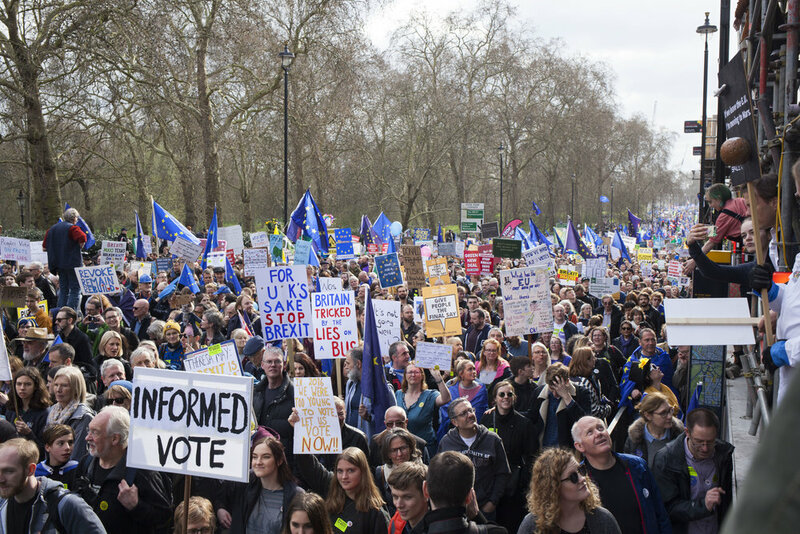 It was particularly evocative during the last stretch, right behind the National Portrait Gallery, when the march stumbled into a masterfully hidden, secret sound system, bursting into a huge street party. It was, as you can imagine, a rather beautiful, non-violent expression of alternative public opinion. All walks of life uniting through a common goal; to secure another vote for the people of the UK.